If this trailer doesn’t make you uncomfortable, I don’t know what will. And it’s not that we’re all hiding terrible secrets, it’s not that the government cares even the smallest amount what most of us are texting each other, or that we don’t already know that the Internet opens us up to a lot of negatives. No, it’s that one man exposed the depth of the truth and was immediate branded a traitor & a terrorist. That worries me. Whether you are conservative or liberal, whether you think Snowden was a hero or a criminal, it should bother every one of us that we don’t know the truth. Anyway, story-wise this film has a ton of relevance and looks very interesting. 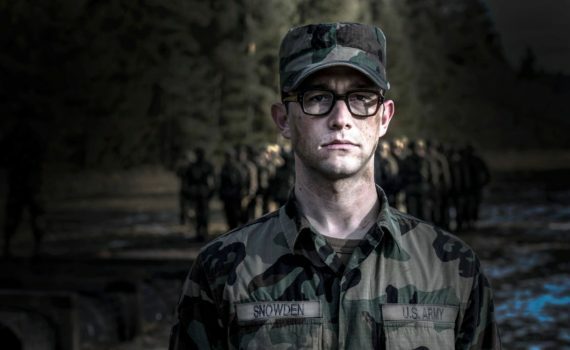 Movie-wise, Stone knows what he’s doing (Platoon, Wall Street, Born on the Fourth of July, JFK) and this cast is full of stars: JGL, Woodley, Ifans, Tom Wilkinson, Nicolas Cage, Timothy Olyphant, Zachary Quinto, Joely Richardson, Melissa Leo. I’m in.